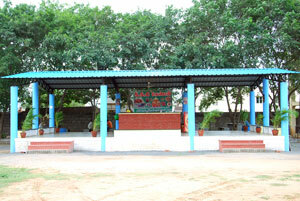 The Canteen is situated inside the college campus. For students and teachers alike, the canteen is a welcome break from the routine of lessons. The homely atmosphere and aroma of delicious food permeates the air as they eat, drink and chat. It remains a focal place of the students for rest and refreshment. Cool drinks, ice creams, bakery items, lunch and hot snacks are available there at reasonable rates in a clean and pleasant ambience. Students, staff members and parents are benefitted by this service.